The complex issue of not having children also encompasses economic factors, mental health, and lifestyle issues. But what, specifically, does it mean for your reproductive health? Let’s take a closer look. Research shows that there is a connection between experiencing pregnancy and your lifetime breast cancer risk. A woman’s chance of developing breast cancer is affected by exposure to hormones like endogenous estrogen and progesterone. The changes the body experiences during pregnancy seem to protect the breasts. While a woman is pregnant, her exposure to certain hormones related to cancer is also reduced. So simply having fewer periods over a lifetime may be a major contributor to reduced cancer risk. An increased breast cancer risk is associated with being older during a first pregnancy and never having given birth. So, in plain language, you are at a slightly higher risk of breast cancer if you don’t have children. Women without children may have a higher risk of ovarian cancers. Endometrial cancers are more common in women without children. There may be a connection to uterine tumors. Don’t worry, it’s not all bad news! Not having children also comes with significant positive health benefits. A 116-year study by the American Journal of Human Biology found the following trends. Longer lifespan. Women with children lost an incredible 95 weeks of life per child carried. Factors are thought to be stress, pregnancy-related diabetes, hypertension, and the nutritional demands of pregnancy and breastfeeding, even in modern industrialized nations. Improved Health. Education and income are higher among women without children, and these factors have a proven connection to better overall health. It costs more than $230,000 to raise a child to adulthood, so not spending this money can lead to greater wealth and wellbeing. Get STD tests. About 19 million people are newly-diagnosed with sexually transmitted diseases each year in the U.S. Many of these STDs have no symptoms, so regular screenings are essential. Use contraception. Condoms prevent the spread of disease. Birth control pills, IUDs, and other forms of contraception prevent unplanned pregnancy. Both of these situations - disease and unplanned pregnancy - can have challenging consequences for your long-term health. Avoid drugs and alcohol. Although the connections aren’t crystal-clear, drugs and alcohol seem to contribute to hormone disruption and reproductive issues. They are also linked to STD risk, sexual dysfunction, and reproductive cancers. Schedule regular checkups. Consistent physicals and gynecological exams bring better lifetime health. They allow doctors to see early warning signs, halt health issues before they worsen, and provide advice that’s backed up by science. 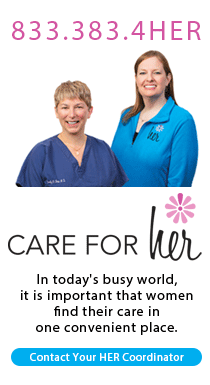 For more information: Reach out to the experts at Johnson Memorial Health Women's Health Specialists.